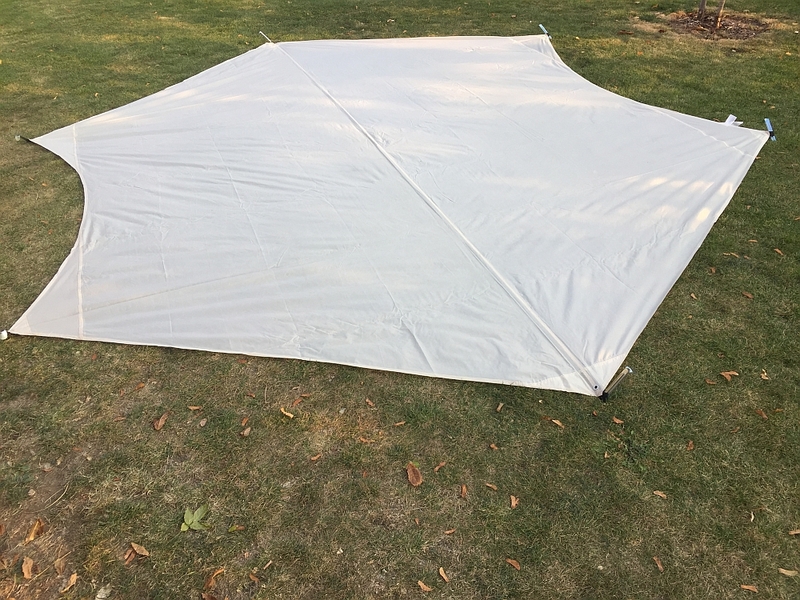 Last year I sold my modified Polish Lavvu, where I attached a skirt to create more usable space. Reason was purely the weight. 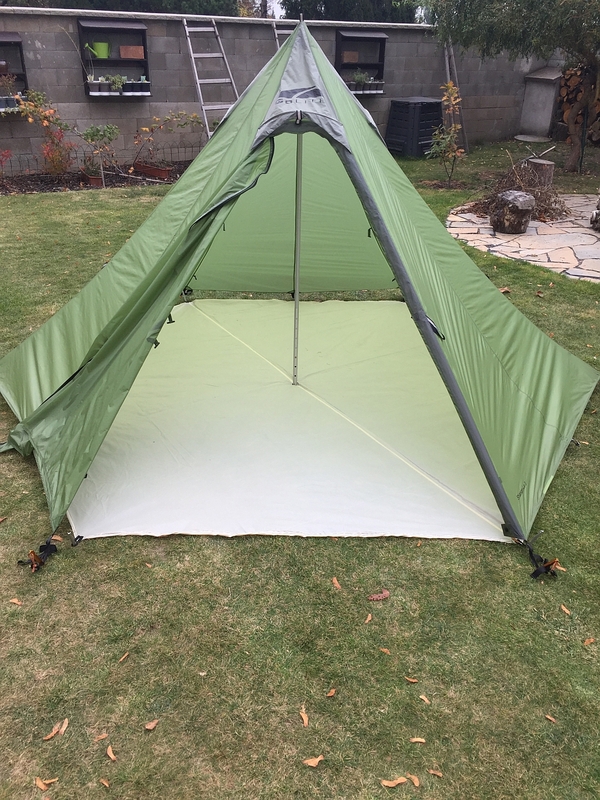 I’m not a camper but a hiker, so I wanted something lighter. 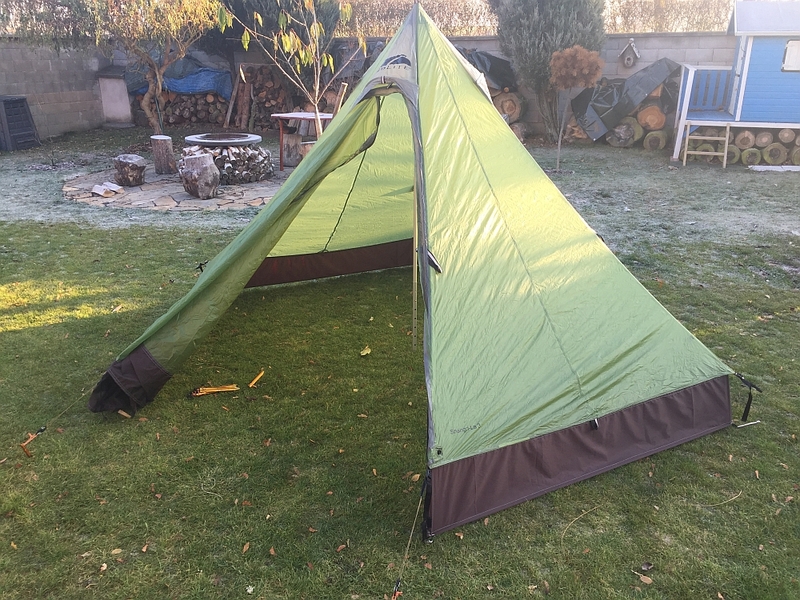 Around the same time I was able to buy a second hand Shangri La 3 tent, which I wanted for a long time already. 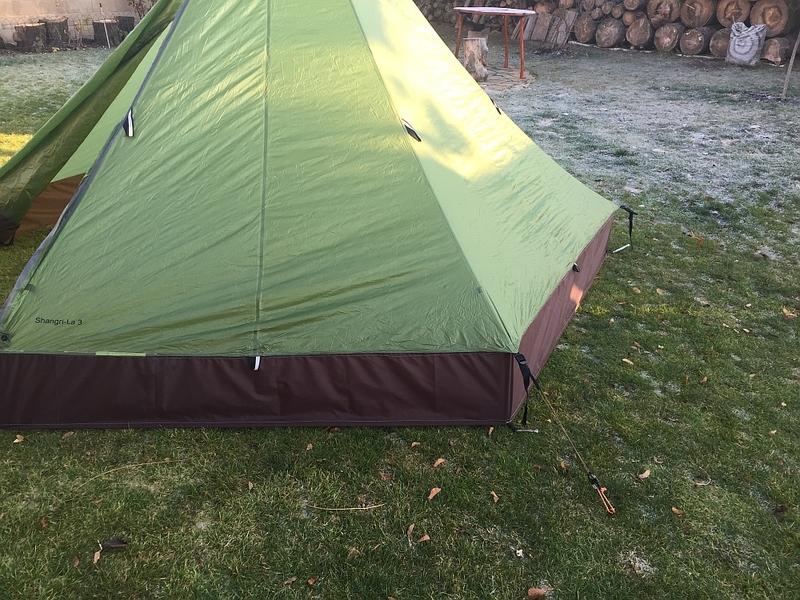 The description says it is for 3 people, but thats very tight, and they should not be tall people. 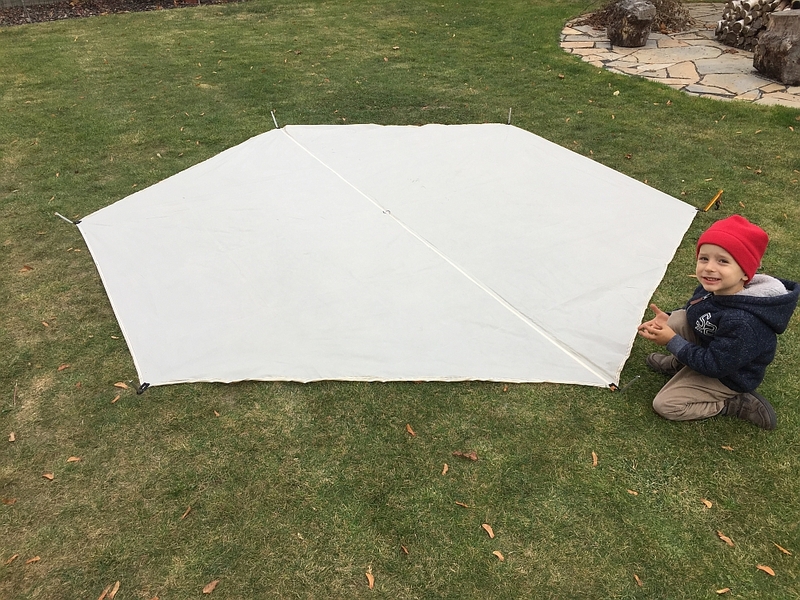 It had the same issue as with all tipi style tents, the sharp corners at the ground take a lot of space up which you can not really use. So I made the same mod again, by adding a skirt at the bottom, and also making a loose footprint, in case of trips in the snow. 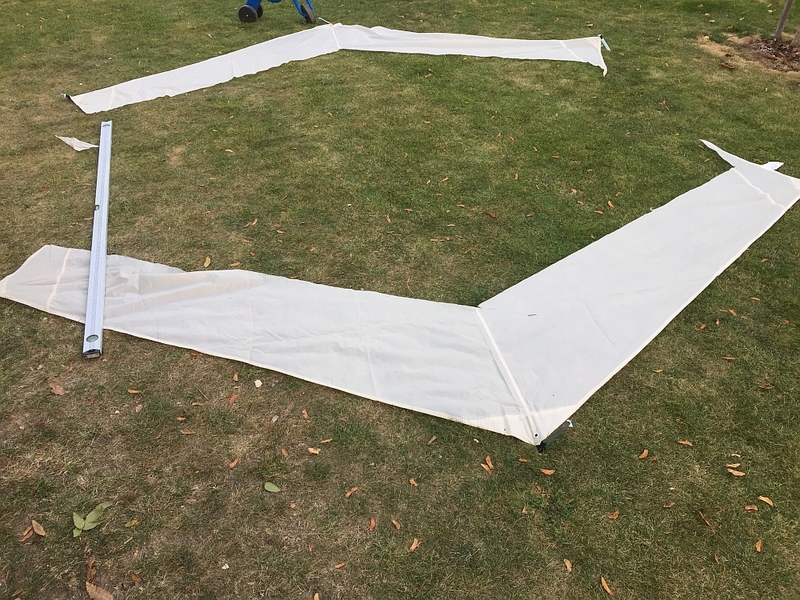 For the footprint I used a cheap simple tarp from the shop Lidl, measured it out and made the cuts. 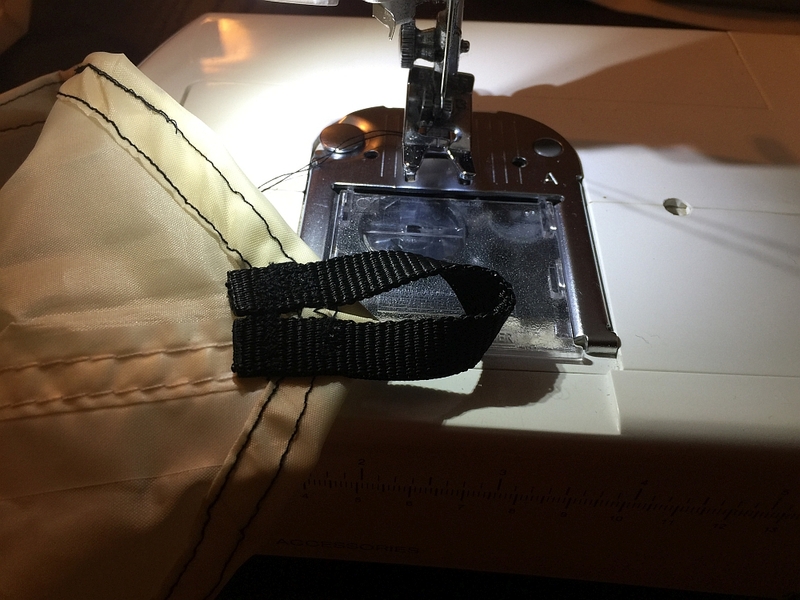 Adding a seem and in each of the 6 corners a loop to stake it out. 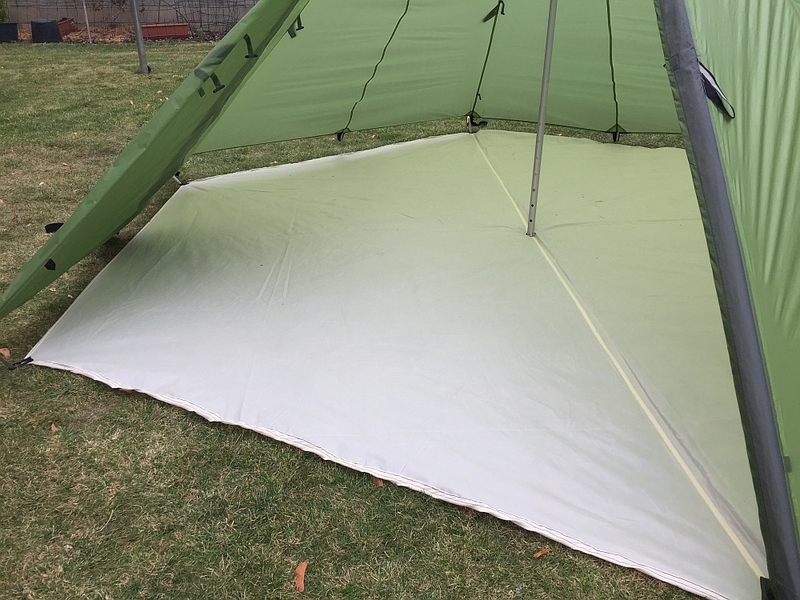 The Shangri-La 3 tent is made of some really thin lightweight material, which I do not have in stock, so I used 100% polyamid which was impregnated. 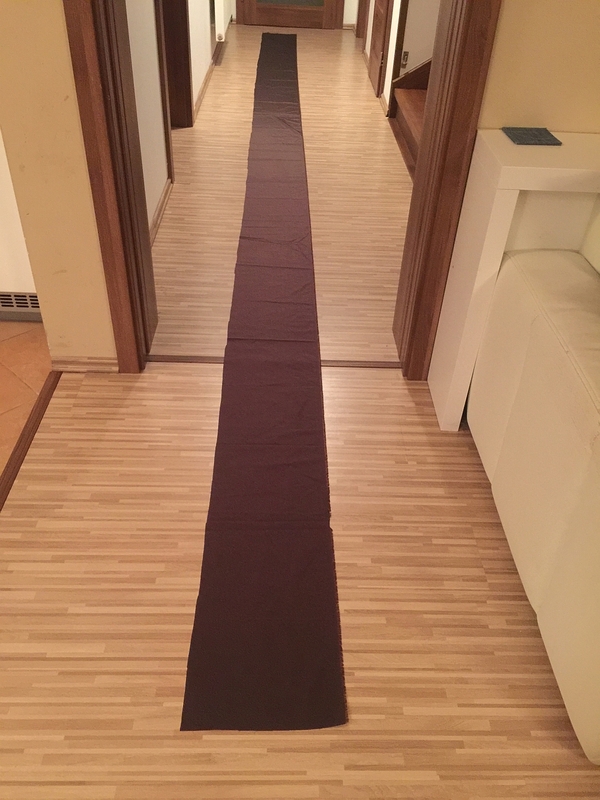 I had a piece of 9 x 1.5 meters still, so I cut of a strip of 29 cm in the length. 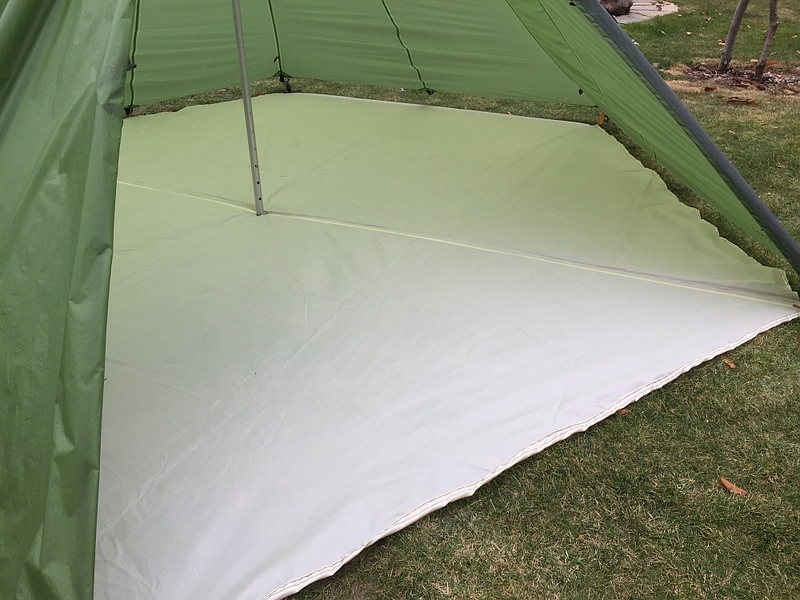 The 9 meters length was perfect as each side of the tent is 1.5 meters. Done as well. 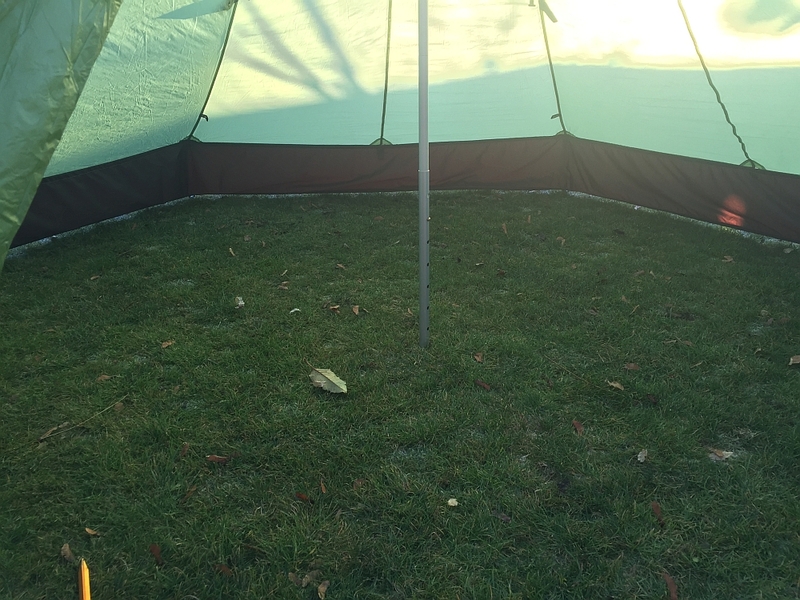 The tent is now 24 cm higher in total, and this effectively provides 50 cm of usable space in diameter. Now 3 people will fit easily including backpacks. Total weight without footprint is now 1.3 kg. No changes to the centerpole where needed. 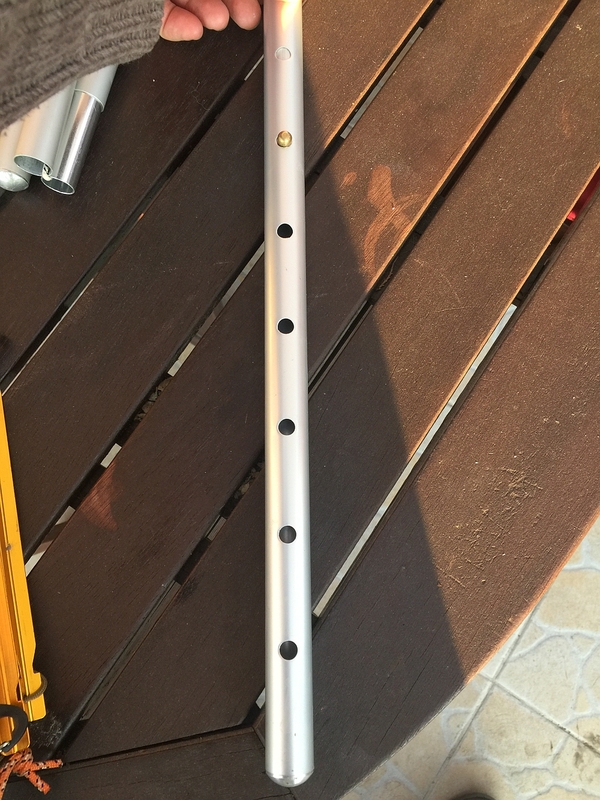 In original mode it was also set to the second last hole. Now it is set to the 2nd hole from the top.